We finally got to try the infamous Momofuku Ramen place and the Milk Bar during our visit to DC. I remembered that place was really hyped up when it first opened. I must say that I'm a bit disappointed. The best thing was the pork buns. I could eat like five more of those if I can, but it's quite pricey for what it really was. The ramen was okay. It was a bit too fishy in my opinion. I had the Momofuku Ramen. My boyfriend's sister had the Momofuku Beef Noodle Soup which she said, "was different, but not bad." My boyfriend had the Twice Cooked Pork Noodles and they charred the pork pretty badly that it was just like eating coal. The Milk Bar was cute and the soft serve was good, but the whole point of the milk bar was their infamous cereal soft serve, right? The cereal cost extra so for $7 total, it was not a good deal. Nonetheless, I'm still happy to finally try these places. I do have to say that the presentation and ambiance of the place is really appealing, if only the food was just as good as it looks, then this place will be an A+. This place looks incredible! Love! The pork buns are the best. I got the ramen too and it was good, but not amazing or anything. 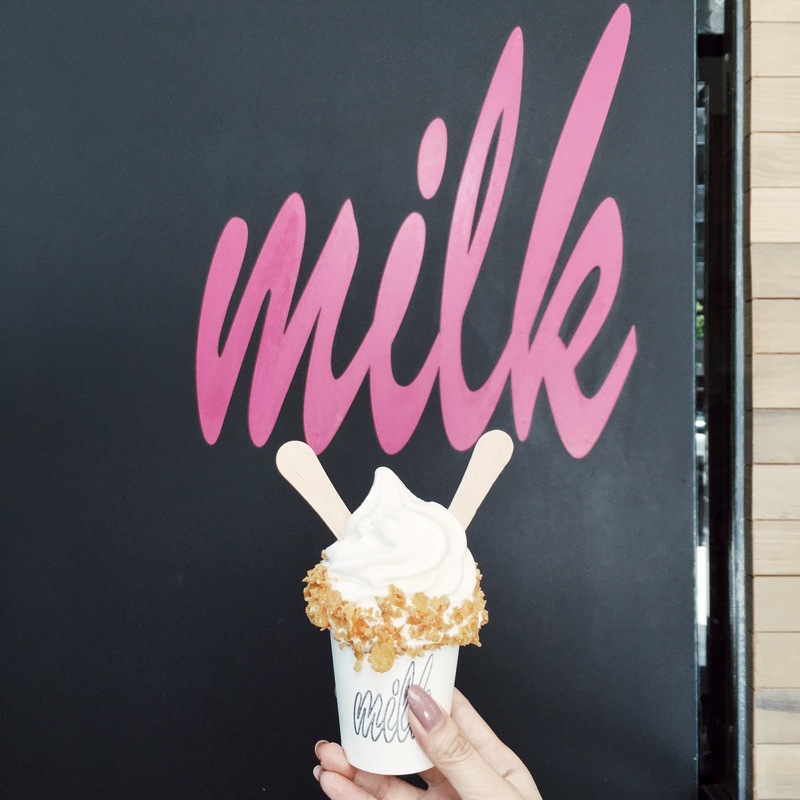 I actually did not like the cereal milk ice cream or the pretzel ice cream but I do come back for their egg and cheddar bombs as well as their cookies and cake truffles sometimes.